By submitting this form, I acknowledge that I have read the disclaimer. 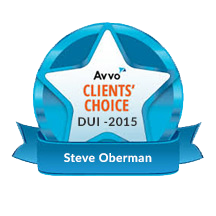 • Board Certified in DUI Defense: Steve Oberman is the only lawyer in Tennessee to be recognized as a Board Certified Specialist in the area of DUI Defense Law by the National College for DUI Defense. • Don’t Hire Us To Plead Guilty as Charged: We are interested in actively defending those accused of DUI—not pleading you guilty as charged. • Personalized Attention for Our Clients: Steve and Sara limit the number of cases they select to ensure our clients receive the special attention they deserve. • We Use a Team Approach with Every Case: Although you hire only one lawyer as lead counsel, our lawyers and investigator collaborate together on defense strategies for each case. • Highest Peer Review Ratings: Martindale-Hubbell® has bestowed the firm with the highest rating for law firms. Both Steve and Sara have achieved the 10.0 (Superb) rating from www.avvo.com. 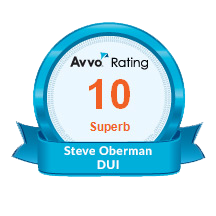 Steve has been selected as a Mid-South Super Lawyer® in the area of DUI/DWI defense since 2006, while Sara has been named a "Rising Star" by Mid-South Super Lawyers® in the area of DUI/DWI defense. • Our Practice is Devoted to DUI or Related Cases: Because the severe consequences one faces when accused of driving under the influence and due to the complexities inherent in defending DUI cases, our practice is focused on this particular area of the law.